An elegant collection of walnut finished furniture, the Buckingham Collection offers a sophisticated element to the bedroom. Each piece of Buckingham furniture is beautifully crafted and incredibly durable, making them perfect choices for those with a discerning eye for quality. The Buckingham collection has been designed with to be tastefully classic, albeit with modern enrichments such as the individual metal handles. 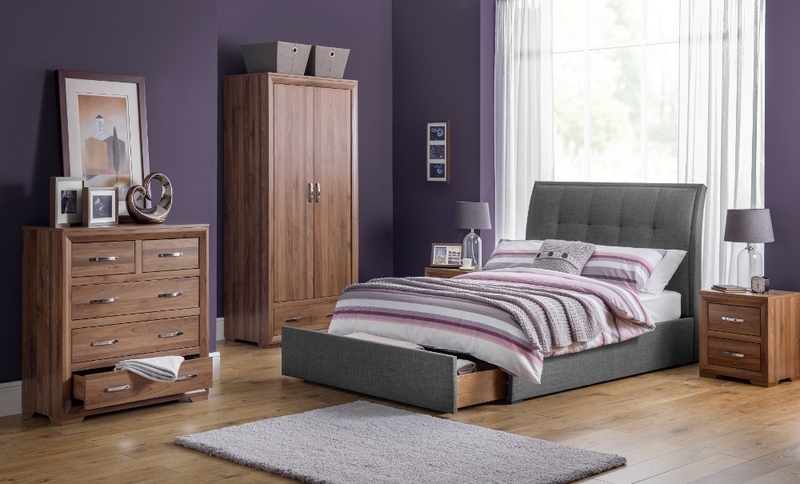 A concise collection that provides ample storage solutions, the Buckingham collection consists of wardrobes, chests of drawers and bedside tables. This focus on stylish clothes storage truly makes the Buckingham collection perfect for bedrooms sporting any kind of decor. As a complete ensemble, the Buckingham collection enhances the bedroom in terms of both style and substance. Easily assembled from a flat pack format, most of the items from the Buckingham collection can be simply constructed thanks to the easy to follow and comprehensive instructions included.